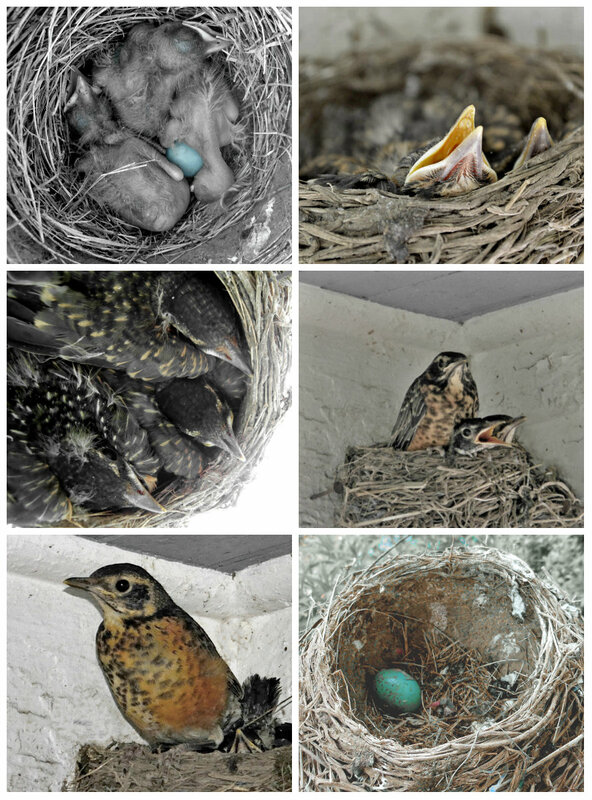 During the last month, I chronicled the life of an American Robin and her 3 hatchlings living on my front porch. The first baby made its entrance on May 5th, and the last left home on May 19th. From egg to flight in a mere 14 days. I am completely amazed by nature. I hope I always will be. I still look for them in their old nest. I need to remove it should the mama bird choose to return and build a new one. My back yard is filled with a plethora of birds right now: cardinals, starlings, blue jays and blue birds – to name a few. And lots of little robins, three of which I choose to think of as my own. It helps me sleep better at night believing they are safe and nearby.